Today's Edition of A World Of Hockey features a team from Switzerland that I had the pleasure of seeing! 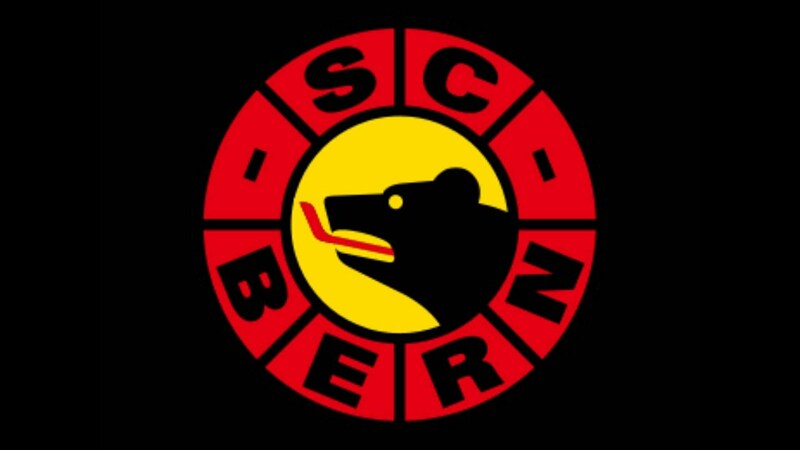 Today we look at the team, SC Bern, from Switzerland's top league, the NLA (National League A). SC Bern is one of 12 teams competing in this league, and are located in the Swiss capitol of Bern. SC Bern was founded in 1930, and ultimately began competitive play in 1931. Their current head coach is former Tampa Bay Lightning head coach, Guy Boucher, and have won the championship for the NLA a total of 13 times (including when the NLA was formerly known as the NDA and also Nationalliga A) starting in 1959. This is the jersey I purchased. It's the black home colors. A lot of people seem to have trouble getting past the advertisements on the jersey and the ice. To them I say, without these ads, smaller leagues like Swiss NLA (despite its highest averaging attendance out of all the European leagues) would cease to exist. Once I started considering that, I didn't worry so much about the ads on the ice/jerseys and just enjoyed the hockey. I didn't take a picture of the sleve, but you'll notice a "2014-2015" on the sleeve by the elbow. I think the reason for this is because the team can sell different designs each year to help further financially support the team. This match I attended was the semi-final match in the Swiss Cup Championship, not to be confused with the NLA championship. Some quick background on the Swiss Cup is that it was established in 1957 and featured all Swiss top-tier leagues, which would include not only the NLA, but also the second highest league in Switzerland, the NLB. The tournament ran until 1972, ultimately closing because financial and other reasons that I'm not too sure. SC Bern was able to win a Swiss Cup Championship in 1965. In May of 2013, the Swiss Ice Hockey Associated announced that they would be restarting the tournament for 2014-2015. So I found myself in Bern on January 7th to experience a game. I didn't know too much about SC Bern other than it was a fairly popular team and that it was pretty big rivals with the team in the "city" I was staying in, Fribourg. Now from a language perspective, I am fluent in English and very comfortable speaking French. I had been doing that for most of my time in Switzerland. I had also tried to learn as much German as possible before going. The German spoken in Switzerland is extremely different than in Germany. Some Germans view Swiss German as "not real German" (not my words). Either way, it was extremely interesting to see the difference between the Fribourg/Geneva area with mostly French with some English signs and barely any German and Bern where everything is completely in German. Either way, getting to the arena, PostFinance Arena, which opened in 1967, was a lot of fun and allowed me to practice some German, mainly asking people if the group I was with was going the right direction. The night's match would be against ZSC Lions, the reigning NLA champions. SC Bern had won the championship for the NLA the year before, so I knew this would be a great game. For any Buffalo Sabres or New Jersey fans wondering whatever happened to Henrik Tallinder (with all due respect to him though, I really don't think people are...), he's playing defense for ZSC. Before the teams even stepped onto the ice there was singing, chanting, and yelling from all corners of the arena, by both teams. The most noise were from, and the chants were being lead, by the section of the arena with all the flags and drums. They were being rallied by two men with a megaphone. An unreal atmosphere, nothing like I'd ever experienced before. ZSC would ultimately tie it up late in the first period, and the second period was chippy as the crowd got further and further upset at the referee crew. However, late in the third period, SC Bern got a power play, to which the entire arena (even those in the sitting seats) stood up and starting applauding, as if nothing else mattered before that moment. All I could think of was whether or not I had stepped into a Disney sports movie. 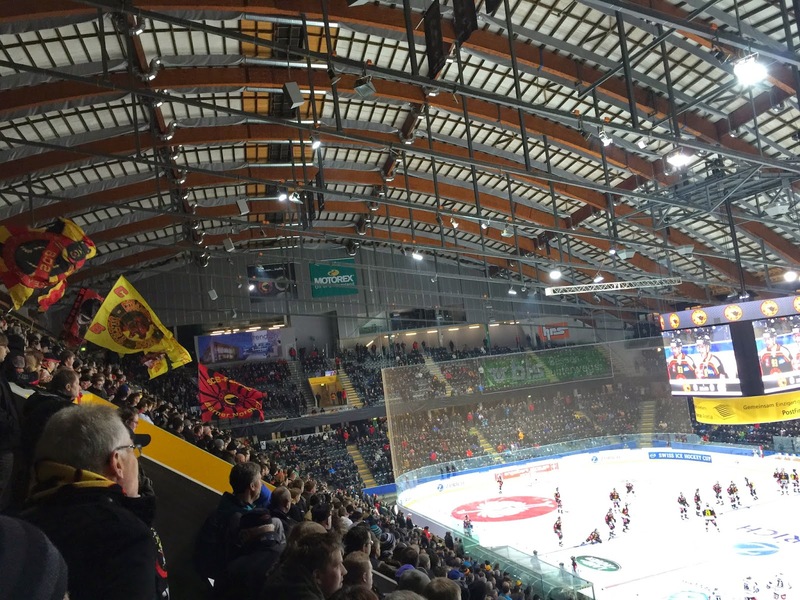 SC Bern plays Kloten for the Swiss Cup Final on February 11th in Bern. SC Bern also participated in the recent Champions Hockey League tournament featuring teams from almost all the European hockey leagues. SC Bern was in Group E with teams HC Trinec from Czech Republic, Stavanger Oilers from Norway, and Tappara from Finland. SC Bern did not qualify for the playoffs and finished last in their group. Not the finish you want to see (especially because rival Fribourg-Gotteron finished on top of their group D), but it is a good re-introduction to international play for a growing Swiss Program. Thanks for reading! If you have any suggestions, please let me know.Be sure to comment and follow me on Twitter @DTJ_AHockeyBlog for more articles! Let me know if you'd like to see more videos or pictures from the game. I will gladly post them.